I have a friend who always smells great. We'll call him Mr. Cologne Connoiseur. After an email convo with him yesterday it got me to thinking about all of the scents I have loved and enjoyed over the years. It also got me thinking about how the nose is quite a fickle thing. A scent that I loved 10 years ago can repulse me now. Isn't that strange? 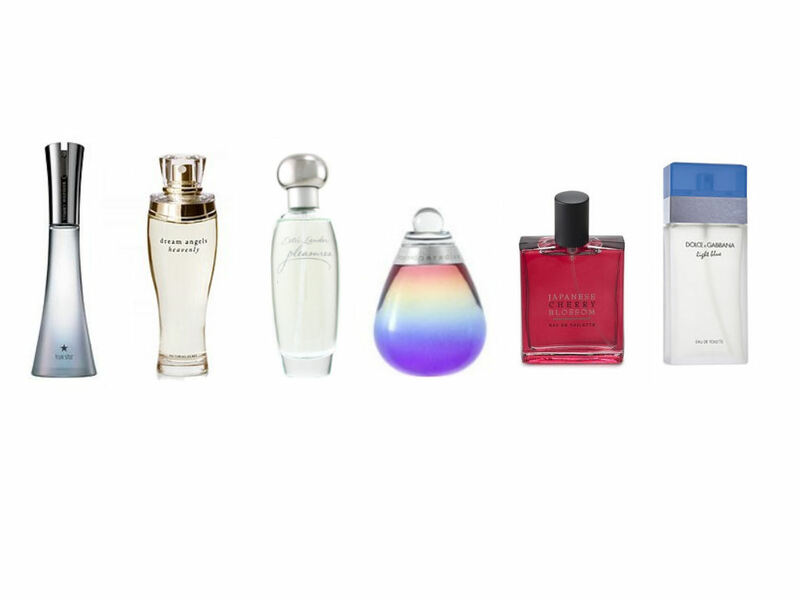 So, for today's post, here are the perfumes that I've loved and adored over the years in chronological order with the farthest on the right being my current scent. 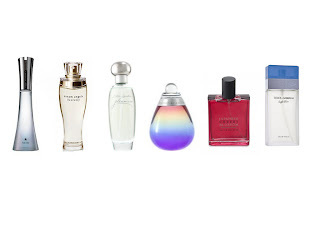 From L-R (and oldest to newest): True Star by Tommy Hilfiger, Dream Angels Heavenly by Victoria's Secret, Pleasures by Estee Lauder, Beyond Paradise by Estee Lauder, Japanese Cherry Blossom by Bath & Body Works and Light Blue by Dolce & Gabbana. 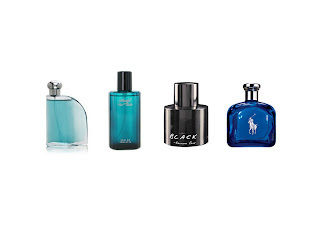 From L-R: Nautica Classic, Cool Water by Davidoff, Black by Kenneth Cole and Blue by Polo Ralph Lauren.